The ribbon is essentially a compact palette of all of the tools necessary to create or modify your drawing. 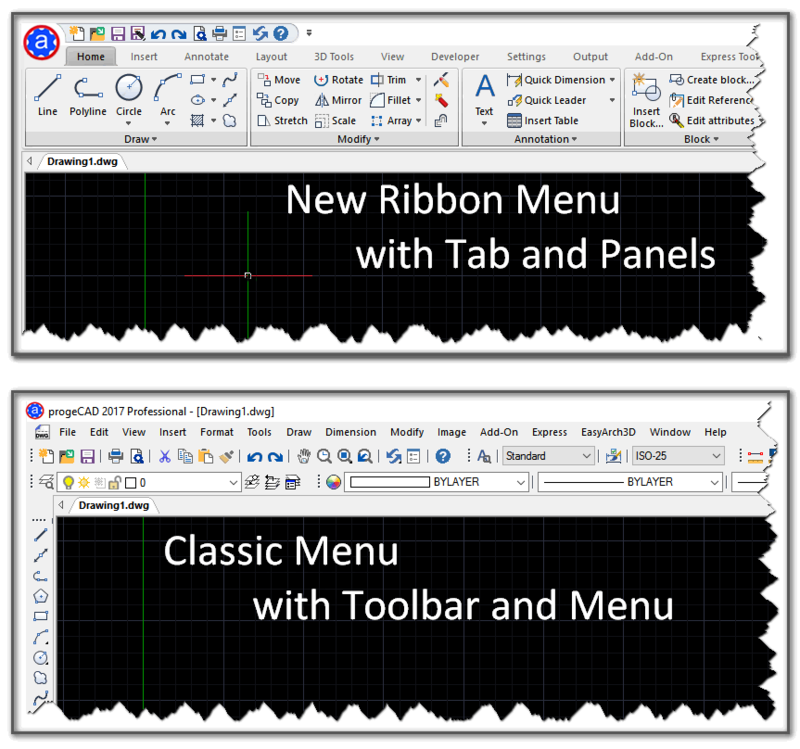 Within the ribbon is a series of tabs, which are organized into panels containing many of tools found in the classic toolbar. The big advantage of the ribbon is it allows you to draw without having to look down at the keyboard. Many of the panels are logically arranged and easy to find. The old classic is still supported as well, and is based on a standard drop down menu system. The ribbon can be turned off and on by clicking the blue gear icon in the lower right corner of your drawing window. Then typing RIBBON and typing either ON or OFF. Alternatively the ribbon can be hidden by right clicking on it and choosing the hide option.